John's background reveals his love of musical diversity. Born in Brooklyn, New York, John picked up the bass when he was 11 and played in a garage band with his older brother Thomas. After the Patitucci family moved to northern California, John continued honing his rock chops while also working with gospel groups and widening his understanding of jazz. John went on to study classical bass extensively. John then came to southern California and immersed himself in the burgeoning L.A. jazz scene - establishing himself as a versatile sideman and session ace working with the likes of Ry Cooder, Herbie Hancock, Tom Scott, Robben Ford, Stan Getz, Larry Carlton, Freddie Hubbard, Roby Duke, Ernie Watts, Lee Ritenour, and Dave Gruisin. 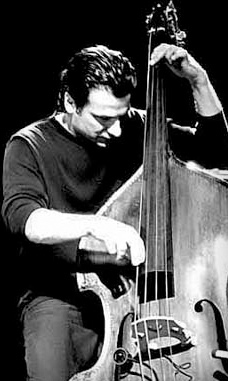 Patitucci's reputation went international when Chick Corea sought him as a founding member for both his Elektric and Akoustic Bands. John has garnered praise from critics and fans alike, consistently winning polls for "Best Jazz Bassist" from the readers of many music publications. The development of John's unique 6 string solo voice has blossomed into a rich solo career including numerous Grammy-winning solo albums.